Instagram continues to grow by leaps and bounds. In fact, this popular social media platform is now a permanent staple in online marketing and advertising. So much so that Instagram is seeing increased numbers of users building strong presences across the network. However, the platform is not seeing as many ‘follows’ for users as Facebook and Twitter. With this in mind, it can take some time to build your audience at such a gradual rate. In fact, as popular as Instagram is – some business owners are wondering if the platform is worth their time at all. If you too are struggling with growing your company and brands on the network, here are three ways to increase visibility and stronger engagements. Respond to any and all comments – even if they are negative reviews. Be professional, courteous and stay committed to resolving customer questions and concerns. Devote your time and energy into posting each day, but also be active and communicate with your followers and clients. Trigger conversations by posting special sales, discounts and upcoming brand announcements. Provide insightful comments that extend your brands’ reach, while targeting your audiences with relevant links to your pages, blogs and stores. Like Facebook and Twitter, consistency is the key to greater brand visibility and customer patronage. 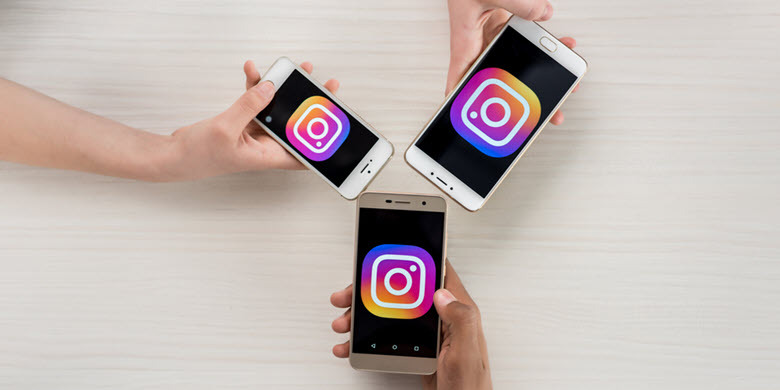 Hire a leading SEO agency to manage all your social media, including creating high-quality and relevant content for your Instagram marketing and online campaigns. Create a posting schedule for your Instagram social media calendar. Strategize what and when you will post, and monitor your follows, mentions and feedback at all times. With every content post, try sticking to a unified visual theme. For example: you can allocate certain posts to reflect your new products and services. Your future posts can discuss your business growth and achievements, along with how you helped customers get exactly what they were looking for. Even with rigid posting schedules, it’s still good to be creative and exciting. In fact, surprise your viewers to keep things fresh, current and engaging. As a business owner, you need to reach out to other Instagram accounts in your niche. This can create collaborations, which enable you to build business relationships across the board. No matter the industry or sector you serve, the best way to grow your business is by growing your relationships with other owners and followers. Instagram is not just relegated to building new friendships and rekindling old ones. It is rapidly becoming a central hub for business marketing – just like Google+, Facebook and Twitter. Make a conscious effort to expand your network by building commercial bridges across several industries. Remember, the more people your business is connected to – the more it can grow and attract new customers and clients from all over the globe.